Find wellness resources to manage stress, process grief and feel balanced. 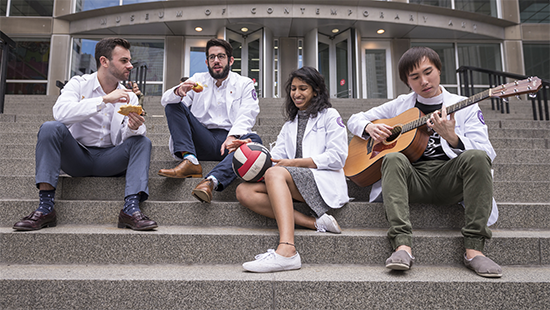 Northwestern University Feinberg School of Medicine values the well-being of our entire community. We want our faculty, staff, students, and trainees to know about the resources available through our institution. The Northwestern University Office of Student Affairs includes Counseling and Psychological Services (CAPS), a mental health service for students. Learn more about all its services, including upcoming programs and support, health services in Chicago and religious and spiritual life opportunities. The Feinberg MD Program has a Student Wellness initiative that aligns with the program’s Personal Awareness and Self-Care core competency. Feinberg has committed to the well-being of our students and to the well-being of the physicians they will become. 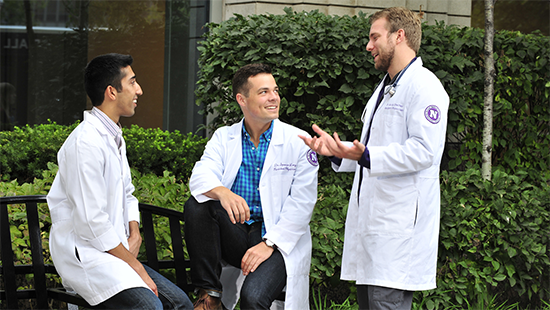 Feinberg graduate students can access health and wellness resources through The Graduate School of Northwestern University website. 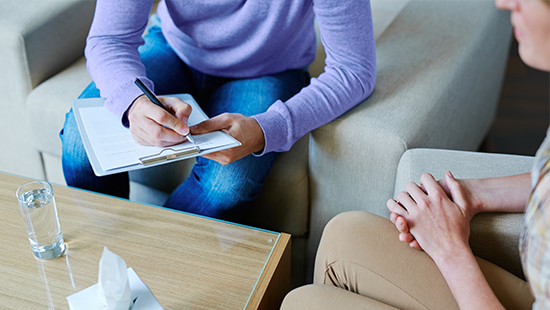 The Faculty Wellness Program within the Feinberg Office of Faculty Affairs connects medical school faculty with a variety of resources for stress management, mental health care, substance abuse assistance and more. Please feel free to contact our program director, Richard Carroll, PhD, directly at 312-695-2323. McGaw Medical Center of Northwestern University has a dedicated Housestaff Wellness Program Liaison, Ashley Bassett, MD. She is available directly to housestaff as a resource for any wellness or mental health concerns. Please contact her at 312-834-3814. Read more about available resources for residents and fellows on our Wellness Toolkit via the McGaw website.